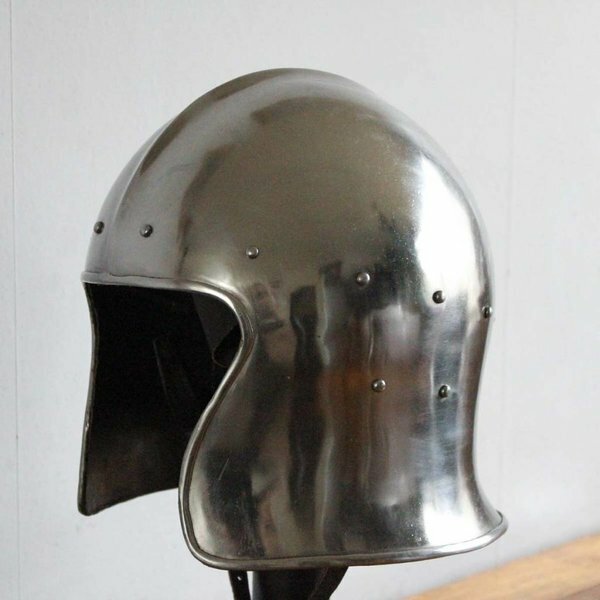 This sallet is made after an original from the 2nd half of the 15th century found in England. Nowadays it is part of the collection of the Wallace Collection in London. Comparable originals are part of the collection of the National Museum of Vienna, the Army museum in Delft, Musée de L?Armée in Paris and Musée de Cluny in Paris. 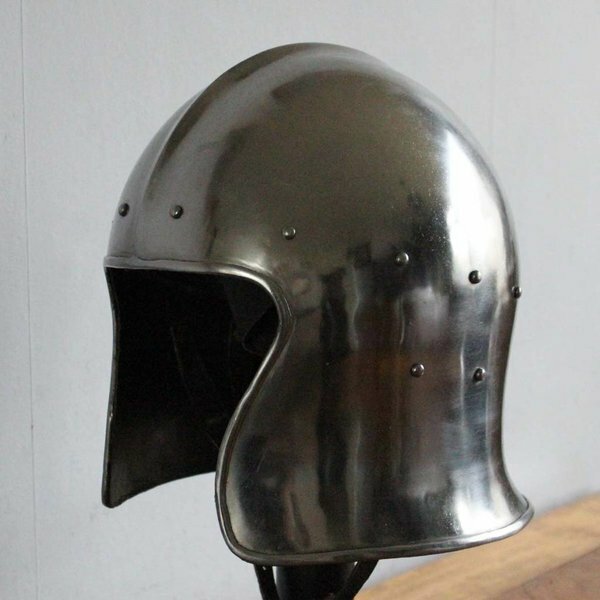 Helmets like this were Italian developments of the earliest bascinets. 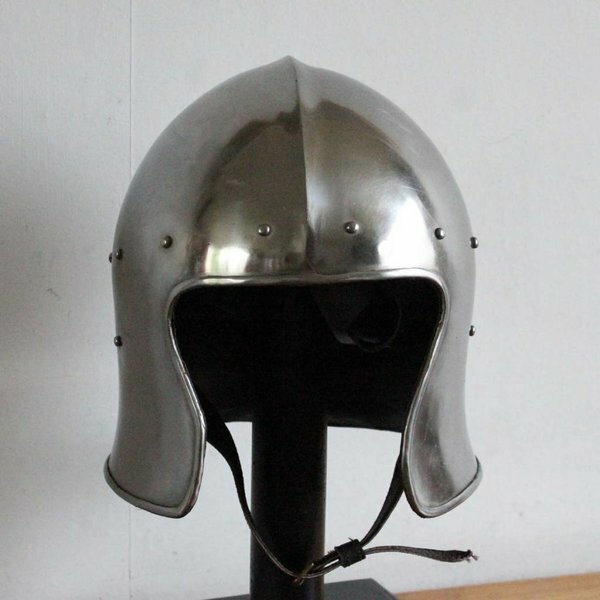 This sallet is made of 1,6 mm thick steel. It provides an optimal field of view and weighs approx. 2 kg. 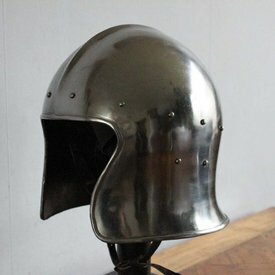 Because the cheek flaps slightly stick out the face is also protected from blows from the side. This helmet is available in size S, M or L, with or without helmet holder and with or without arming cap. 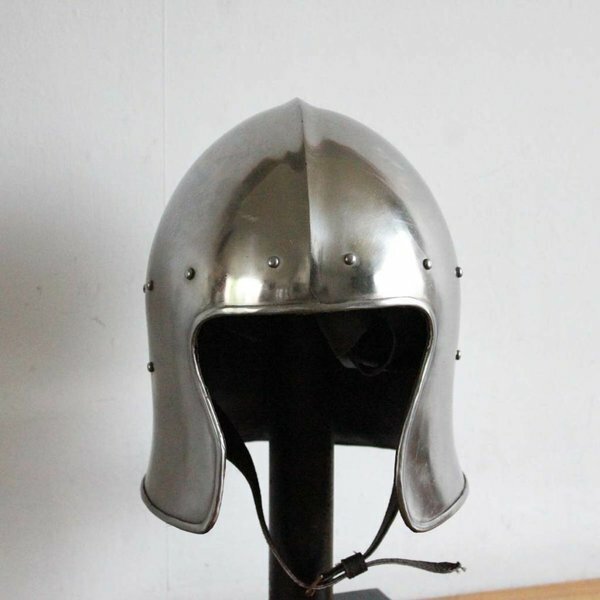 Size s is suitable for a head circumference up to 58 cm, size M is suitable for a head circumference up to 62 cm, size L is available for a head circumference up to 64 cm. Both sizes weigh approx. 2,1 kg.